I don't know if it's been the same for you, but I feel like pretty much every brand of food decided to stop putting out new stuff after early December. Maybe that's not the case- maybe my lunatic-for-chips brain just blacked everything I saw out becuase everything I saw wasn't chips. 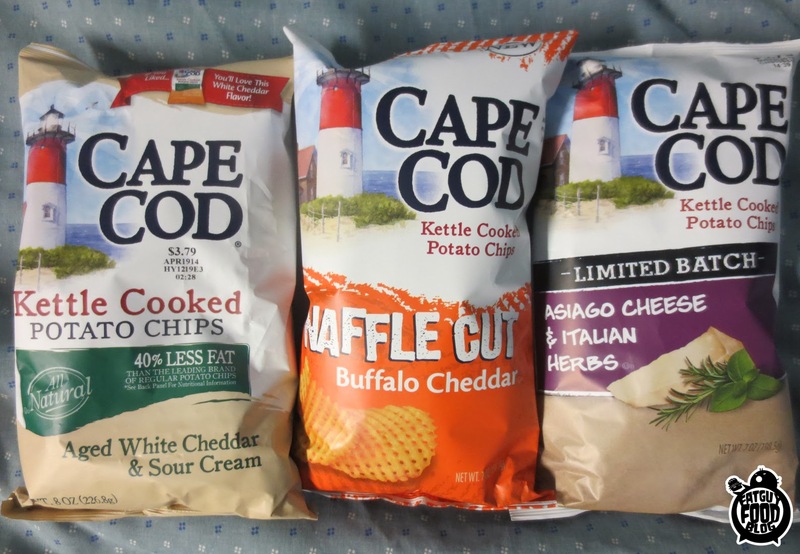 But finally, FINALLY, some new chips showed up at the store, and from Cape Cod of all chip companies! Not 1, but FOUR new kinds. Hot damn. Christmas part 2. I've also had seafood chips before, and they were pretty horrific. So Cape Cod, I say no thanks. You have 3 new flavors, not 4. I was a little worried about these since buffalo is so hit or miss without blue cheese (mostly miss), but I was excited to try them. They are now on the go-nuts shelf in our house, free for anyone to take, and I know that what will probably take them is the trash can. They're not TERRIBLE, but they're not good. Simply put- not enough cheese, too much buffalo, too much chip. They're hot and have that very strong buffalo chemical taste with nothing to save it. A not-entirely-covered-in-orange chip gives more cheese flavor and will taste ok, but the next super orange chip is just burning chemicals on the crunchiest chip ever. I like my chips to be thin, greasy and covered in flavor. 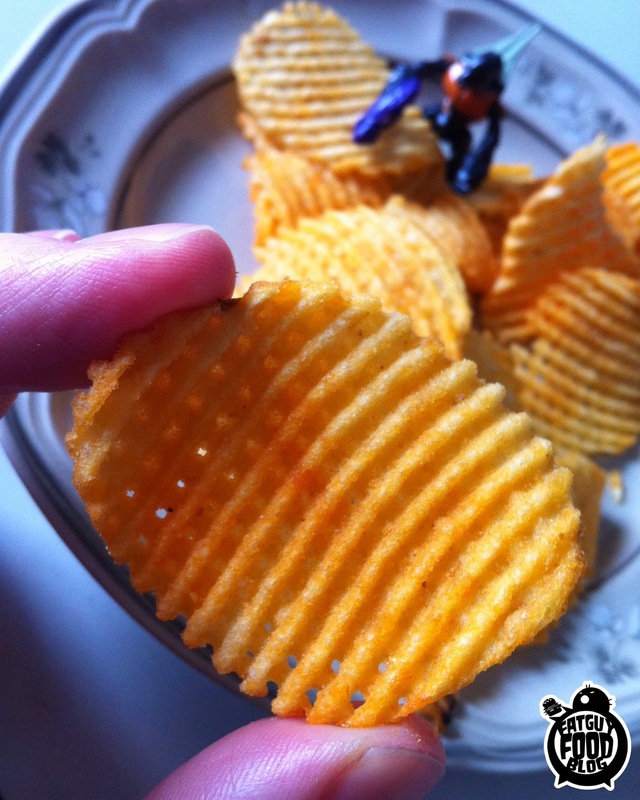 I'm a big fan of Lay's chips for this very reason. 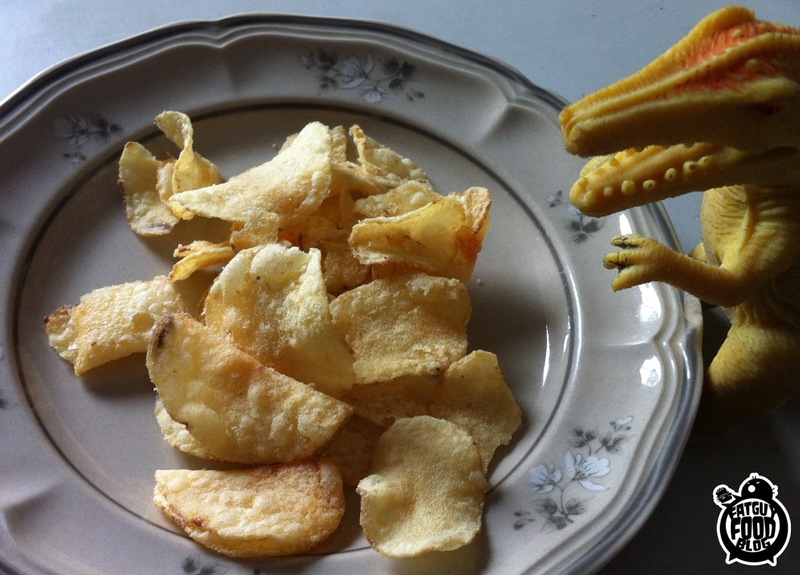 I'll eat a crunchier thicker chip if need be, but too crunchy is a big killer for me. 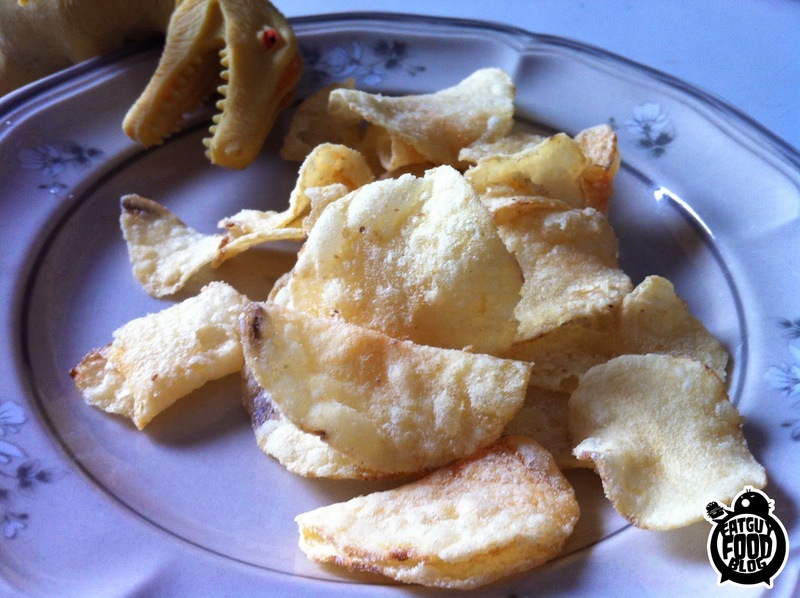 These are SO crunchy, they're like 2 already crunchy chips glued together. They look cool and certainly sound like they might be good, but they are just too damn crunchy to really enjoy. If I only eat a few then give the rest away, they can really only get an F.
These are good, but I don't really know how to describe them other than saying that they taste like Italian herbs. I couldn't tell you for the life of me what asiago cheese tastes like (I still think it's a made up cheese for companies like Subway to make their sandwiches sound more fancy), and I'm not a huge Italian herb expert- I just know I like cheese, and I generally seem to like Italian herbs. You know those Italian herb shakers you can buy in the spice aisle? The flavor is kind of like that. I just looked on the bag, and apparently it's a combo of mostly rosemary, basil, and a little bit of garlic. I couldn't pick out any of those, but they have that classic flavor I mostly imagined these would taste like, mixed with a nice creaminess from the cheese. They're not really cheesy- they're just creamy. And herby. 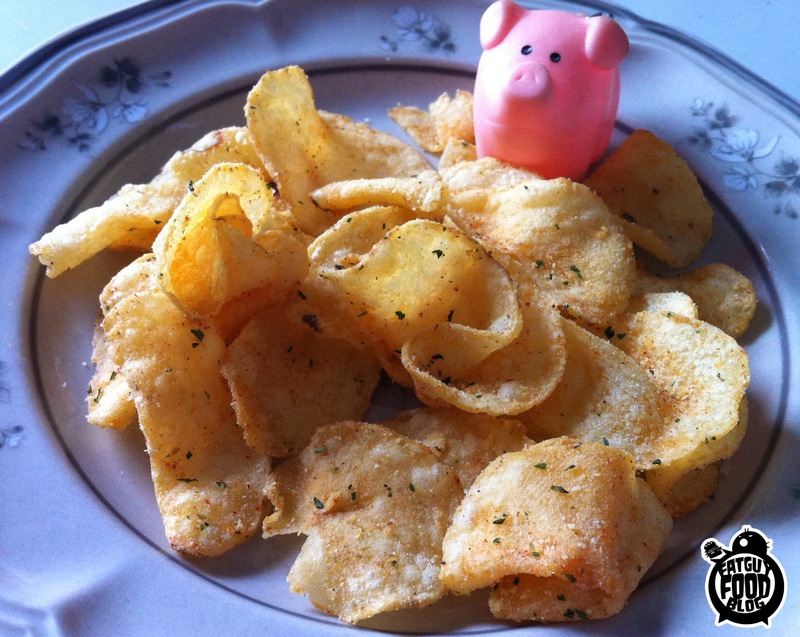 They remind me a lot of a Lay's chip I really liked from 2 years ago- Creamy Mediterranean Herb. I'd recommend these to anyone who likes a fancy Italian chip. But I'd warn you- these have almost too much flavor. 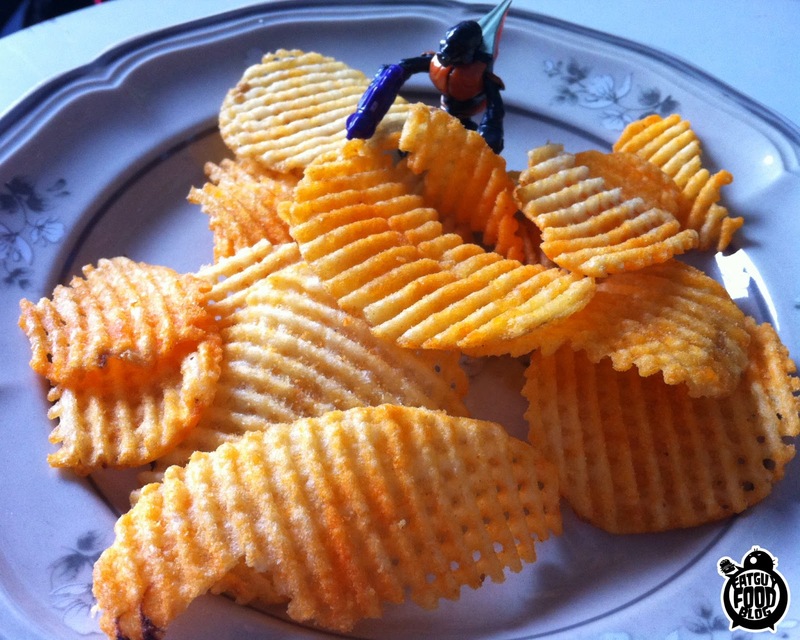 In fact, on some chips, they have absolutely too much flavor. Look at this one! 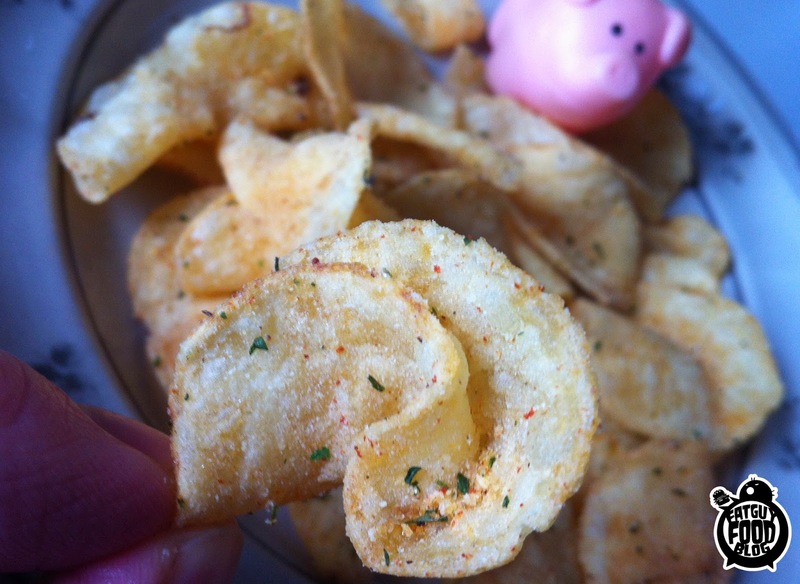 Normally a spice pileup like that would be the best part of the chip, but these herbs are strong, and this chip almost hurt to eat because of all the flavor. I don't know, maybe I'm not supposed to eat them as fast as humanly possible? I'll give these a B-. I may buy another bag, I may not. But if I do, I'll eat them more slowly. Cape Cod's Aged Cheddar and Sour Cream chips have been in my top 3 and often my top spot for favorite chips, going back to when they were called Cheddar Jack and Sour Cream. They're creamy, super cheesy, crunchy but thin, and incredibly easy to eat. They are my standard bring-to-a-party chip, and nobody is ever disappointed that I show up with them. So these are them, but... white. I guess Cape Cod has something against orange chips? These are awesome, but they taste like those chips mixed with just a hint of white cheddar. White cheddar really isn't that different from regular cheddar- just a little creamier, so the difference is subtle. I definitely tasted it, because my incredibly cultured taste buds often noticed that distinct Smartfood flavor (yes, that's the only food I know that uses white cheddar), but I'm not sure I'd ace a taste test between these and their orange brother. I'd probably get a B. These chips get an A though, because, yes, while they don't necessarily need to exist, and they really aren't that different from chips Cape Cod already makes, they taste extremely close to one of the best kinds of chips in history, with their own slight little twist. I'd suggest of any of these, getting these ones first, since I'd guess they'll disappear first. Although they don't say NEW! or LIMITED BATCH! so they may actually be here for awhile... Let's hope. Waffle Cut Buffalo Cheddar: Too crunchy, too hot, not enough cheese, lots of chemical flavor. F.
Asiago Cheese and Italian Herbs: Almost too much flavor, but creamy Italian deliciousness. B-. Aged White Cheddar and Sour Cream: Extremely close to its brother, but just different enough that I may choose this one from time to time. A. That's one happy piece of cereal! 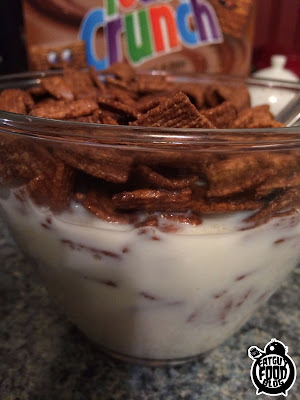 Before we get to actually talking about the cereal, let's take a moment to think about how ridiculous this cereal is. Cinnamon Toast? That's a thing. Peanut Butter Toast? Yup. I eat it practically every other day. 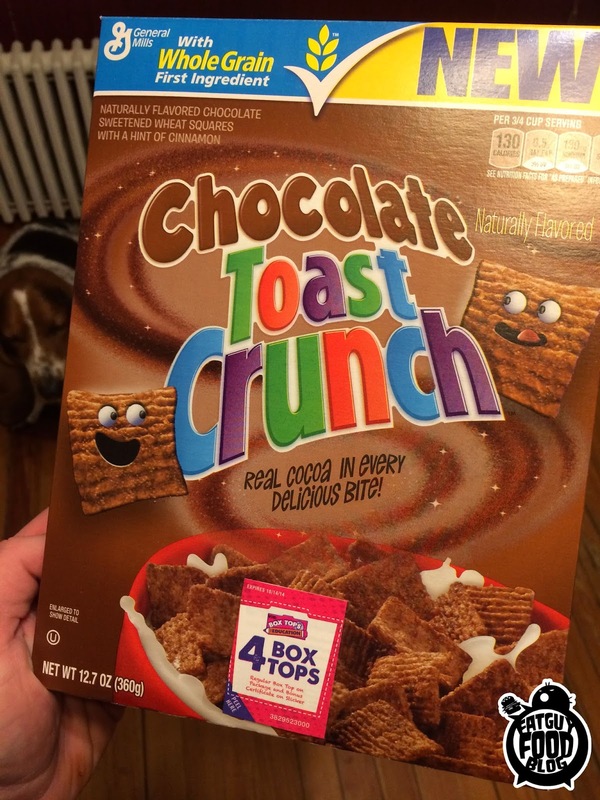 But Chocolate Toast? Who has that? Nobody. 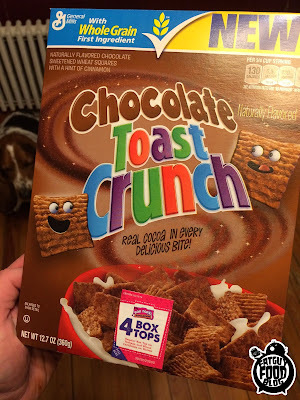 The closest thing I can think of is putting Nutella on toast, which is freakin' awesome, but this isn't called Nutella Toast Crunch (PLEASE MAKE THIS A THING, GENERAL MILLS!). But in the end, who the hell cares. 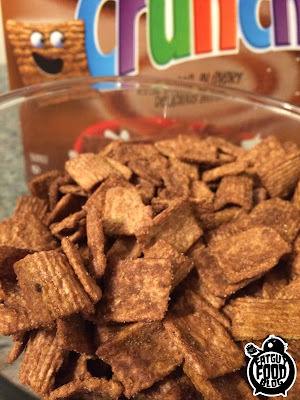 All I want is a tasty cereal to eat a giant bowl of on those nights where I don't feel like cooking, and boy did this deliver! Ol' Wendell doesn't skimp on that chocolate dust! This is called pure happiness. It also does an excellent job of giving you a nice bowl of chocolate milk to swig down after you're done spooning up every last morsel of cereal. Normally I might take a swig or two, but with this, I took the entire bowl down! By the end of the bowl that milk is straight up chocolate! The bottom line is that it's damned good. Chocolate lovers, you're in for a treat. Most people my age wouldn't touch this with a ten foot pole. I listen to them squawk about how they eat one cup of Special K and half of a grapefruit for breakfast. Meanwhile I have a bowl of Chocolate Toast Crunch, and a pile of crispy bacon starting out my day. So if you're a health nut, you are probably just reading this blog so you can live vicariously through it. I appreciate that! But if you're like me, and you aren't a stranger to taking down a box of cereal in three sittings, then this stuff might be for you. 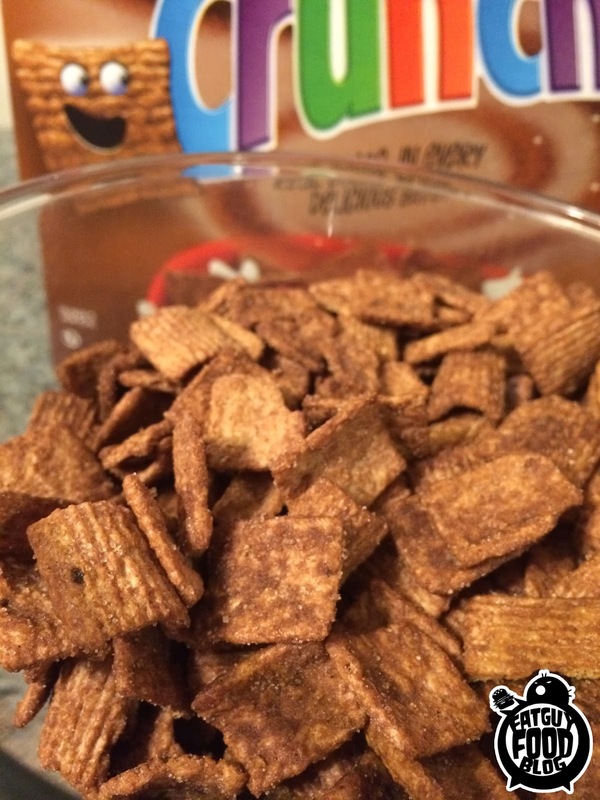 I give this limited edition, chocolate version of Cinnamon Toast Crunch a solid A. Get a box while you can, because it could vanish at any moment...FOREVER. If you have any ideas for places or products for us to review, or just want to say hello, feel free to email us at fatguyfoodblog@gmail.com! You can also follow us on Twitter, at @fatguyfoodblog. Or if you're on that Facebook thing, give us a LIKE! Last but not least, if you love the blog and want to sport a limited edition FATGUYFOODBLOG t-shirt, or some stickers to slap on your sweet ride, you can get them here: http://fatguyfoodblog.storenvy.com/ ! If you've ever visited Fatguyfoodblog before you know we're review lots of different things. But if you had to break it down, I think you'd agree that one of the things we review the most would have to be Ben & Jerry's ice cream. Let's face it, fat guys love Ben & Jerry's. Hell, everyone loves Ben & Jerry's so why not try them all? Now a while back I remember seeing a picture of a Ben & Jerry's pint with Will Ferrel's Ron Burgundy character from Anchorman on it and chalked it up to being something someone photoshopped online. But then I was recently listening to a Marc Maron podcast with Ferrel on it and he actually talked about it, so I immediately freaked out and started searching for it like crazy. At long last, I tracked down a pint of it. Which I ate without taking any pictures for a review at all. But luckily I was smart enough to buy 2. Ben & Jerry's Limited Batch of Ron Burgundy's Scotchy Scotch Scotch! Sorry folks, no regular scotch in here, just butterscotch. When I first plucked the pint from the freezer section in our local Walmart, I read what the ice cream was, and I have to say, I had very low expectations. 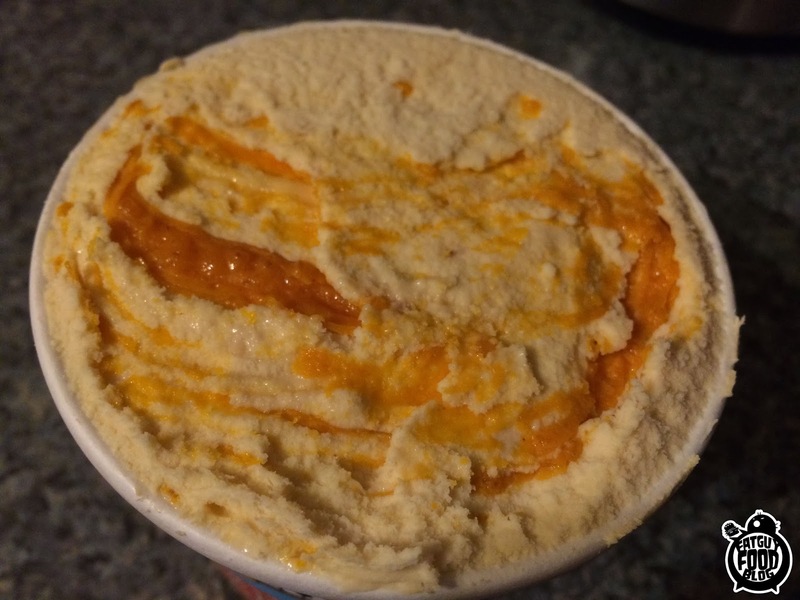 "Butterscotch Ice Cream with Butterscotch swirls." Hmm. That sounds a little boring right? Sounds like it's going to be missing something. Why didn't they put any nuts in there? Why isn't there any candy? There's ice creams I enjoy that are just one flavor, but when I see a new Ben & Jerry's I expect not only great ice cream, but also some sort of interesting swirls, accompanied by something like chocolate chips, brownie chunks, or chocolate covered peanut butter pretzels. These things add not only another flavor, but another texture. How could this double butterscotch ice cream even be that good? Like the landscape of an alien world. A butterscotch world. Well I'll be honest, I ate the first bite and screamed out, "GREAT ODIN'S RAVEN!" Or maybe it was, "BY THE HAMMER OF THOR!" One of those. Why? Well, it's not just good. It's fantastic. FANTASTIC, I tell you. I'm not even the worlds biggest butterscotch fan, but this ice cream is excellent. 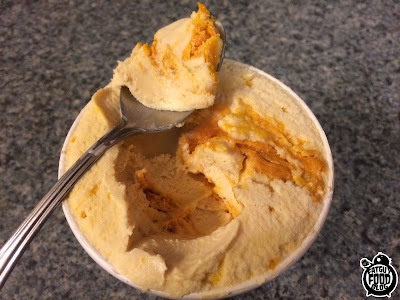 The butterscotch ice cream is well done, creamy and not overly flavorful, they leave that to the butterscotch swirls. They are like explosions of delicious flavor. The part that surprised me though, is that the swirls of butterscotch were actually kind of crunchy along the edges. Ol' Ben & Jerry had already planned for the exact thing I was worried about. Why on earth would I doubt them for a second? They are the geniuses that brought us this, and this. I was also surprised by how much the ice cream reminded me of Egg Nog. Or perhaps it made me realize how much Egg Nog tastes like butterscotch? I'm still not certain. Those butterscotch swirls tasty and plentiful. Every bite of this ice cream was a new realization that the mad scientists of the ice cream world have not lost their step at all. If they showed up to a brawl against all the other ice cream makers, I have no doubt they would come out on top. Even if those weirdos from Hagen Das showed up with samurai swords and lengths of chain. Ben & Jerry teamed up with Ron Burgundy to bring an ice cream to their lineup that I would be very happy to see become a permanent fixture. We all know that flavors don't last forever. At some point most of them find their way to the flavor graveyard . But I sure would like to see this be more than just a limited batch. 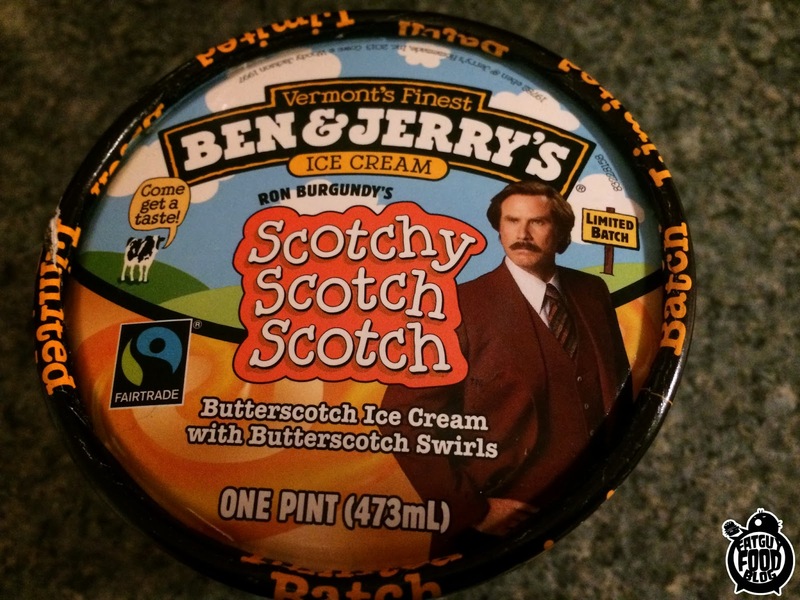 In the end, I'm giving Ron Burgundy's Scotchy Scotch Scotch an A. Straight up. This stuff is wonderful. If you see it, buy it. It might be your only chance! Also be sure to hit up Anchorman 2 in theaters now! As always you can feel free to email us with any questions, comments or ideas for items you would like to see us review. Email us at fatguyfoodblog@gmail.com. You can also follow us on Twitter, or even LIKE OUR FACEBOOK PAGE for some more fun stuff.